Dal makhani recipe – this is restaurant style recipe. To get the smoky flavor, dhungar method is used at the end of cooking process. It is very rich, creamy in texture. This is not the kind of dal that you can have it on daily basis. Since it is rich and heavy, it should be made on special occasions. Still looking for healthy version of it? Go ahead, use oil instead of butter and milk instead of heavy cream. The taste and flavor will change slightly. This is very popular dish in North Indian restaurant menu. Almost everyone orders either this one or dal fry or dal tadka to go with rice. The punjabi meal is not complete without either one of these. I have read so many articles and posts including wiki about dal makhani. They are saying dal makhani also known as maa ki dal or kaali dal. I trusted those and did believe that all are same. But actually, this is not the case. Here is the explanation given by my colleague who is from North India. 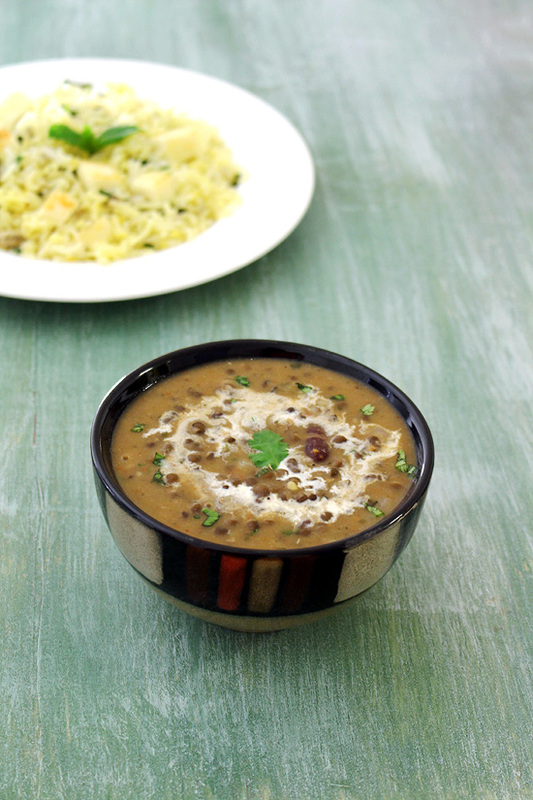 Dal Makhani – It has very creamy, rich and medium spicy taste. It is made from whole urad with rajma. Butter and cream is used in this recipe to make it creamy and rich. Butter is used in the recipe hence it is called Dal Makhani. Makhani is the hindi word of ‘buttery’. Maah di dal or kaali dal – It is light in texture with spicy taste. It is kind of everyday style healthy dal recipe because there is no butter or cream used. It is made from whole urad only. In Punjabi, urad dal is known as maah (not maa-mother) and how it is called maah di dal. Also whole urad are black in color, so it is also called kaali dal. Maah chole di dal – It is almost same as kaali dal except it is made from split urad dal and chana dal. Maah means urad dal and chole dal means chana dal. 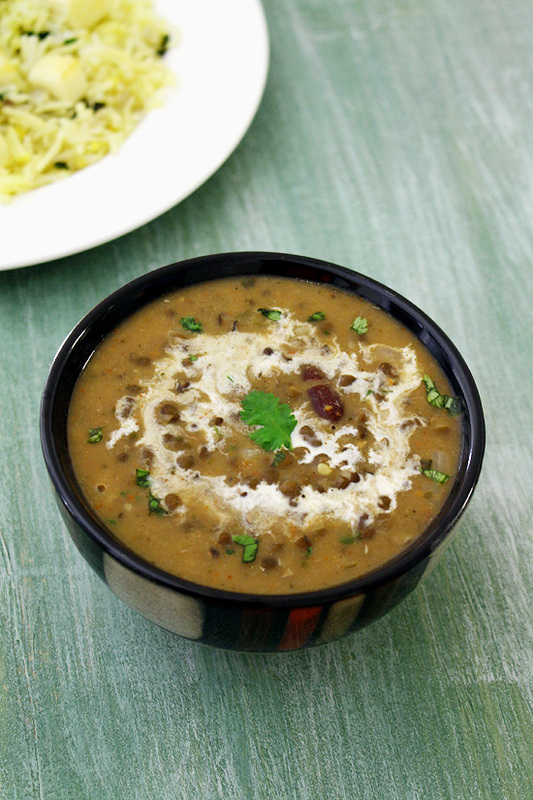 Traditionally, the process of making dal makhani takes almost a day from start to finish. But at home we use pressure cooker and pre-soak it for 8 hours. So we get the same result with less time. If interested, take a look at this video that Chef Irfan is showing how it is made in restaurants by cooking almost 8-9 hours on stove. 1) Take whole urad dal and rajma in a bowl. Rinse with cold water for 4-5 times or till you see clear water. Or you can wash them under running cold water in colander till water runs clear. 3) After the soaking time, they will get double in size. Discard the soaking water. 4) Take whole urad and rajma in a pressure cooker. Add fresh 1 ¼ cups of water. Close the cooker with lid and put the weight on. Turn the heat on medium and let it cook for 10-12 whistles. It took me about 12-14 minutes. Let the pressure go down by itself then open the lid. It should cooked well and soft. If it is not cooked, then add little more water and cook for few more whistles. 5) Now heat the butter and oil in a pan on medium heat. We are adding little oil to make sure that butter does not get burn. 6) Once hot add whole spices (cloves, cinnamon, black cardamom and bay leaf). Saute for a minute or so. You will get nice aroma of the spices. 7) Then add chopped onions, sprinkle little salt and mix. 8) Saute for few minutes or till they turn translucent or light pink and soft. 9) Now add ginger paste, garlic paste and chopped green chilies. 10) Mix and saute for 30-40 seconds or till the raw smell of ginger garlic goes away. 11) Now add tomato puree. 12) Cook till all the moisture evaporates and it becomes thick paste. 13) Then add red chili powder. 15) Then boiled dal along with its water and remaining salt. 16) Also add another half cup of water to get the right consistency. Bring it to a boil. 17) Let it simmer for 5-7 minutes. Do stir in between and make sure that dal is not sticking to the bottom of the pan. While simmering if needed, you can add more water. 18) Now add crushed kasoori methi and garam masala. Stir well. 20) Mix well and cook for a minute and turn off the stove. 21) Lastly add chopped coriander leaves and mix. You can serve the dal and skip the dhungar method. But for smoky, restaurant style taste go ahead smoke the dal. 22) Take small piece of charcoal and heat up on open flame with the use of tongs. Heat it till it gets red hot. 23) Put the a small katori or bowl in the middle of the pan. Place the hot charcoal in the bowl. 24) Drizzle ½ teaspoon of ghee on charcoal. You will see smoke will come out. 25) As soon as you drizzle, charcoal begins to smoke, immediately cover the pan to trap the smoke. Keep it covered for 1-2 minutes only. For more smoky flavor you can keep it for longer. 26) Then open the lid, remove the bowl with the help of tong. Serving suggestion: Serve dal makhani with plain rice or jeera rice or any mild flavored pulao like veg pulao, mushroom pulao, paneer pulao or corn pulao. It can be served with paratha or naan as well. What if you forgot to soak the dal ahead of time? Here is the quick soaking method: Take whole urad and rajma in a pan, add plenty of water and bring it to a rolling boil. Once it starts to boil, let it boil for 5 minutes. Then turn off the stove and cover the pan with lid. Let it sit for 1 hour. After 1 hours you will have perfectly soaked dal similar to what you get after 8 hours of soaking. Charcoal – It is highly recommended using natural lump charcoal. Never ever dare to use instant charcoal briquettes which has chemicals in it. It will ruin the taste of dal. Wash whole urad dal and rajma under running cold water or rinse with cold water for 4-5 times or till you see clear water. After the soaking time, they will get double in size. Discard the soaking water. Take them in a pressure cooker with fresh 1 ¼ cups of water. Close the cooker with lid and put the weight on. Let it cook for 10-12 whistles on medium heat. It took me about 12-14 minutes. Let the pressure go down by itself then open the lid. It should cooked well and soft. If it is not cooked, then add little more water and cook for few more whistles. Now heat the butter and oil in a pan on medium heat. Once hot add whole spices. Saute for a minute or so. You will get nice aroma of the spices. Then add chopped onions and mix. Saute for few minutes or till they turn translucent or light pink and soft. Now add ginger paste, garlic paste and chopped green chilies. Mix and saute for 30-40 seconds. Now add tomato puree. Cook till all the moisture evaporates and it becomes thick paste. Then add red chili powder, mix and cook for a minute. Then boiled dal along with its water and salt. Also add another half cup of water to get the right consistency. Bring it to a boil. Let it simmer for 5-7 minutes. Do stir in between and make sure that dal is not sticking to the bottom of the pan. While simmering if needed, you can add more water. Now add crushed kasoori methi and garam masala. Stir well. Add cream. Mix well and cook for a minute and turn off the stove. You can serve the dal and skip the below dhungar method. But for smoky, restaurant style taste go ahead smoke the dal. Take small piece of charcoal and heat up on open flame with the use of tongs. Heat it till it gets red hot. Put the a small katori or bowl in the middle of the pan. Place the hot charcoal in the bowl. Drizzle ½ teaspoon of ghee on charcoal. You will see smoke will come out. As soon as you drizzle, charcoal begins to smoke, immediately cover the pan to trap the smoke. Keep it covered for 1-2 minutes only. For more smoky flavor you can keep it for longer. Then open the lid, remove the bowl with the help of tong. This is one of my favourite daals and i can eat one extra roti with it. The daal is tempting me early morning. 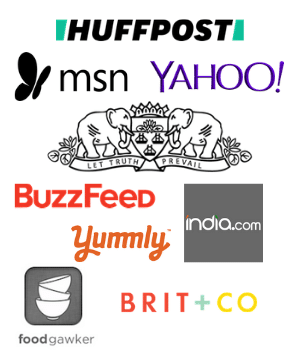 Amazing Recipes , Thanks For Sharing This Recipes.